Getting married later in life raises a number of different confusing aspects associated with estate planning. An estate planning attorney might be the only person who can help you navigate the legal maze of health care and estate plans. If one party enters this late in life marriage with significant assets whereas the other does not, this can cause major issues when qualifying for Medicaid. For example, if the wife in the marriage has ample assets when entering but the male partner does not have as many, Medicaid will evaluate the couple’s assets overall. Older adults face unique estate planning concerns such as guardianship, probate estate planning and Medicaid. When you get remarried, you need to update your estate planning materials anyways because your estate planning tools can affect your children from previous marriages. However, you must also factor in Medicaid. If you do not have long term care insurance policies, you essentially might be self-insuring yourself and a spouse. This is because Medicaid will look at all of the couple’s assets in determining whether or not if a person who needs assistance will qualify through Medicaid. A wife who brings in a great deal of assets to the marriage might have to use her own assets and spend down in order to pay for the care needed for a partner unless other financial plans, such as the purchase of a long-term care policy has been made. Legal documentation is essential when it comes to Medicaid planning, and the further in advance you can show that this work has been done, the easier it will be to accomplish your various concerns and goals. Medicaid can be very complicated, but the support of an attorney is instrumental in outlining what you do and don’t need. Don’t hesitate to schedule a consultation with an attorney who is highly knowledgeable about best protecting your interests. A recent blog on the website of The New York Times highlighted a fine program in California that provides legal help for the elderly while giving real-life experience to law students. The piece by Paula Span, author of “When the Time Comes: Families With Aging Parents Share Their Struggles and Solutions,” also brings a focus on an important issue, that of a segment of the population greatly in need of a great deal of legal assistance often not getting it. “Consider the geriatricians working at the Lakeside Senior Medical Center, an outpatient clinic at the University of California, San Francisco,” Span writes. “Many of their patients, despite multiple chronic diseases and advanced age, have never filled out power-of-attorney documents or appointed someone to make health care decisions if they are unable to. Sometimes, the doctors suspect their patients might qualify for public benefits they are not getting, like food stamps or MediCal, the state’s version of Medicaid. Perhaps they face problems with landlords or appear to be victims of financial abuse, or they ought to have a simple will. The solution at this particular location, and one that deserves to be duplicated all across the country, is that each semester eight students from the University of California Hastings College of the Law spend 12 to 15 hours a week at the clinic under a program called the Medical-Legal Partnership for Seniors. “The physicians do the initial screenings, hear what their patients’ problems are, take the history and they essentially write a prescription: ‘Go down the hall and see my friends at U.C. Hastings for help with this housing issue,’ ” Sarah Hooper, who teaches at the University of California Hastings College of the Law, was quoted as saying. “On the one hand, we have an aging population, for whom understanding a legal document and getting it witnessed and notarized can be daunting, even if people don’t have to do battle over benefits,” Span wrote in conclusion. “On the other, we have law schools scrambling for ways to give their students hands-on experience. The recent Supreme Court ruling of the constitutionality of the new health care reforms has many seniors breathing a sigh of relief. The ruling has ensured that, at least for the time being, senior citizens will continue to receive their currently existing benefits from programs such as Medicaid and Medicare; but the ruling also paves the way for changes—some good and some not so good—in the way various home-based and long term care services are paid for and provided. According to the article, Medicaid “currently funds nearly half of all paid long-term care services.” This current coverage will continue under the 2010 health law, but states can refuse to provide new coverage to individuals if they choose. The Medicare program is currently under some considerable financial strain, and the Affordable Care Act “includes a small increase in the payroll tax that is aimed at increasing revenues for Medicare.” This should be a great help to the program, and a relief to seniors who receive benefits from Medicare. Alzheimer’s is a disease that affects everybody it touches—husbands, wives, children and grandchildren—they all bear witness to their loved one’s slow demise. Sadly, emotional stress is not the only stress that accompanies Alzheimer’s disease; those loved ones serving as caretakers may carry a huge amount of financial stress as well. The cost of caring for an Alzheimer’s patient can run anywhere from $64 a day to $77,380 a year, and because Alzheimer’s disease can be such a long-lasting disease (a person can suffer from Alzheimer’s for up to 20 years) the costs of care can end up being astronomical. It’s obvious that people can’t do it alone. Unfortunately, learning how to navigate the system is not something you can do in an hour or two. Because your experience will depend on a number of unique factors we can’t give you an easy set of instructions to follow. The best advice we can give is to say that right now, the best way to navigate the Medicaid/Medi-Cal system is to find someone who knows the system to assist you. Most estate planning and elder law attorneys help their clients with these issues on a regular basis. If you want to ensure that you and your loved ones will be cared for no matter what the future may bring, don’t be afraid to ask your attorney for help. Do you know who will take care of you when you are unable to take care of yourself? Studies show that most caregivers for aging seniors are likely to be women, and most likely to be your daughter or daughter-in-law. What this means is that unless parents have a plan for their future long term care, the financial burden of caring for these aging parents will fall to daughters and their families. Serving as a caregiver for elderly parents includes more than just driving to doctor appointments or helping with the shopping, it often includes paying for food and medical costs, as well as taking time away from careers to care for family members. In fact, it’s not unusual for female caregivers to experience a significant loss of income over a lifetime in reduced salary and retirement benefits. Many seniors think that they will have government programs such as Medicare and Medicaid to fall back on, but these programs don’t always provide as much as expected or hoped. Relying on government programs can leave your children or family members footing just as much of the bill as they would without the programs. Instead, seniors may want to consider investing in long-term-care insurance, which can provide more flexible and comprehensive coverage than government programs, and save seniors and their families much time and money. If you are a daughter of aging parents, now is the time to talk to your parents about the future. Studies show that you are the one who is likely to shoulder the responsibility of caring for parents as they age. Doing so will affect your family, your career, your finances, and even your health. The subject of aging and elder care is a difficult one, but not one to be left to the last minute. Talk to your family about your wishes and plans for the future, then bring your estate planning attorney into the discussion. Once you have an idea of your wishes, an expert can help you feel better about your options, and put you on the right path for keeping your family healthy, happy, and financially secure in the years to come. According to a recent article in the Miami Herald, thousands of VA pension recipients may have been wrongly removed from receiving Medicaid benefits in violation of a 1987 injunction. 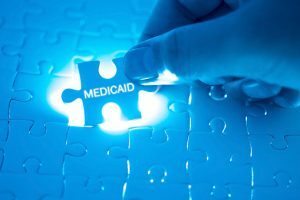 Attorneys have filed a class action suit seeking reinstatement of Medicaid benefits for those who have been wrongfully denied benefits, as well as damages for the state’s failure to provide Medicaid benefits in the past. In 1987, Judge Sidney Aronovitz ordered the Department of Health and Rehabilitative Services (HRS) not to consider VA pension benefits as “countable income” for Medicaid eligibility purposes. When Florida’s appeal of this decision was denied, the injunction became settled law. However, according to lawyers now involved in the case, the Department of Children and Families (DCF), which now determines Medicaid eligibility, has violated the ruling by continuing to consider VA benefits for Medicaid eligibility purposes. Because so much time has elapsed since the injunction was issued, the suit is a unique one. None of the suit’s primary parties are still living, and neither is the judge who issued the injunction. The state agency that was originally sued, HRS, no longer exists, but was broken into two different departments in 1996. The original plaintiff, Marilyn Jones, filed the suit in 1987 on behalf of a friend, Rebecca Mitson. Neither woman is still living. The named defendant, Gregory Coler, then the secretary of HRS, is also deceased. As this case demonstrates, the laws behind Medicaid and VA benefits can be complicated and confusing. Lawsuits regarding these benefits can drag on for years, causing seniors to lose out on benefits that are vital for their care and financial well-being. It is important to educate yourself on these topics so that you will be aware if you are not receiving the benefits you deserve. Consulting with an experienced elder law attorney can allow you to determine which benefits you are eligible for and which benefits best fit your financial and long-term care needs.